NewsHunt as a Bangalore based eBooks company launched by Eterno Infotech was launched in 2009 by the former Nokia employees namely, Umesh Kulkarni and Chandrashekhar Sohoni. Today NewsHunt has crossed over 10 million visitors per month. 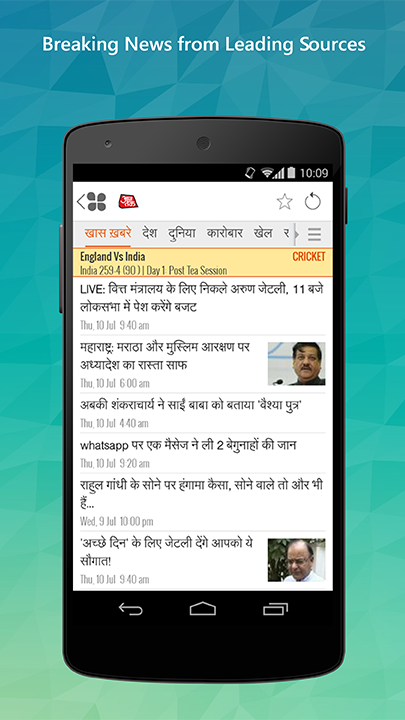 Now Newshunt news app is available in your on Google Play Store in the category of free ‘News & Magazines’. This program has won multiple awards like GSMA Mobile Awards 2013 for Best Mobile Publishing Product, the mBillionth 2013 award for News & Journalism, India's Best News App & in top 10 smartphone consumed apps across all platforms by Neilsen Consumer Rankings and has been Named the ‘Most Downloaded News App’, by GetJar.com with over 8 million downloads till date. This is a free app which you can install in your iOS, Android, BlackBerry and Symbian platforms. According to a report by Nielsen Informate Mobile Insights Users spend more time on NewsHunt than on YouTube. Newshunt is a big conglomerate of newspapers from different languages not only from India, but now it is also including newspapers from other countries like Africa and Bangladesh. It is also available in English apart from the several regional languages. Though the app is compatible on all platforms,it has secured a significant place as the latest player of a high end app in the Indian eBook market. It is a huge collection of stories taken from over 100 regional Indian newspapers which are been translated and written in English in addition to 10 Indian languages that covers the different corners of India. The app is sporting a very easy-to-use interface with a very user conducive homepage where you get to see a list of all those newspapers and news sites which are supported by the app. They have categorized the list according to languages, so that users don't have to go through all over the site to get the one from his own language. So just click on the language you are looking for and you get the list of newspapers from that language. 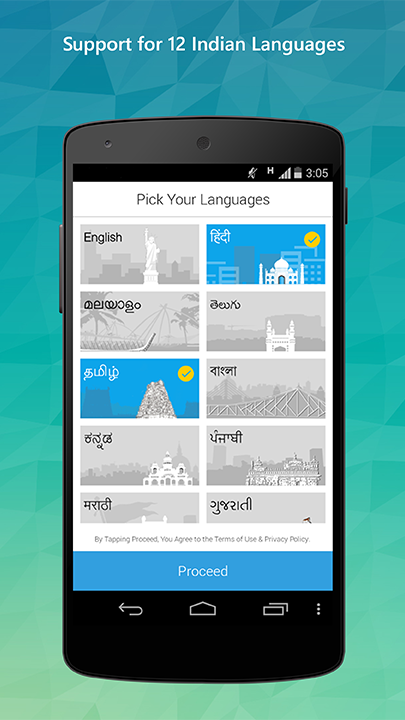 So other than English, it supports nine regional languages that include Hindi, Marathi, Punjabi, Gujarati, Bengali, Oriya, Tamil, Telugu, Malayalam, and Kannada. Newshunt has in its store a large list of wide-ranging newspapers with the best circulations in India. Among the English dailies and sites, you can get direct access to their sites and read their news articles directly. Namely, they are linked up with Hindustan Times, The Hindu, The Indian Express, Mid Day, IBNLive, cricketnext, tech2 and others. Now secure a job with the help of NewHunt . As you can continue your Jobhunt inside Newshunt itself as has featured a job section for you where users have access to the most popular job sites like Naukri and Monster. What more! You can browse for jobs through various categories and if you get across an opening of your choice, you can avail the option to apply for the job directly through the Newshunt site or else choose to save it in your preferred job list. Newshunt shares its partnership with BBC, One India, Aajtak, Hindustan Times, The Hindu, TechGig, ThinkDigit, Loksatta, The New Indian Express, Deccan Herald, Dainik Jagran, Dainik Bhaskar, Mid-Day, Amar Ujala, Rajasthan Express, Sakaal, Jagbani, Kashmir Times, Malayalam Manorama, Mangalam, Divya Bhaskar, Dinakaran, Dinamalar, Eenadu, Sakshi, Udayavani, Kannada Prabha, etc. It is also featuring access to African Newspapers: like Modern Ghana and Vanguard and Bangla Newspapers like Prothom-alo, Daily Sun etc. Newshunt covers daily local news from over 600 Indian states like Bengal, Bihar, Orisa, Andhra Pradesh, Karnataka, Kerala, Tamil Nadu, Maharashtra, Gujarat, Rajasthan, Punjab etc. Stay tuned with the breaking news, latest information on business, technology, hollywood or bollywood, cinema, cricket and lots more. Share those News with your colleagues and peers over SMS, Email & Social Networking sites. It has a neat and clean skin appearance with an easily accessible and helpful features. They are missing the links of newspapers and sites from the Times Group. Newshunt can be easily used by any Indian as a one stop portal for every important news from all best selling Indian newspapers. Its features gives you the benefit of staying well informed and getting entertainin the language of your choice!